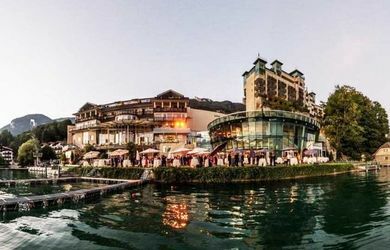 The Schlosshotel Mondsee, as a conference hotel, has 12 conference rooms, altogether 1260m ², for 400 people in the largest room. 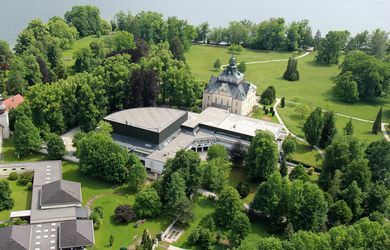 The conference venue has 55 rooms and is situated in Mondsee / Upper Austria. The Aldiana Club Ampflwang has 9 conference rooms, altogether 760m², for 200 people in the largest room. 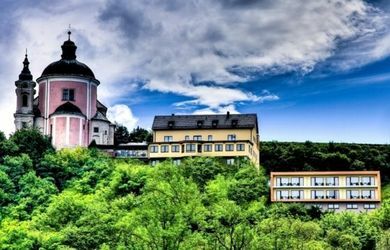 The venue has 201 rooms and is located in the city triangle of Salzburg, Passau and Linz. 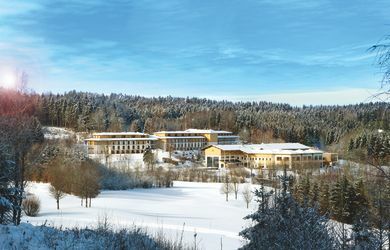 The SPA Resort Therme Geinberg, as a conference hotel, offers 8 conference rooms, altogether 547qm, for 250 people in the largest room. 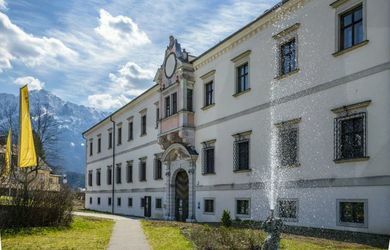 The conference venue has 191 rooms and is situated in the Upper Austrian Innviertel. 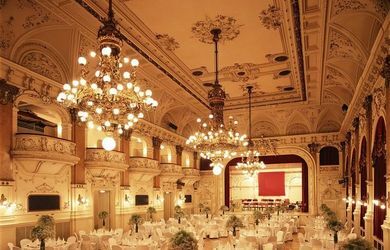 Stadlerhof Wilhering, as a event location, offers 3 conference rooms, altogether 850qm, for 500 people in the largest room. 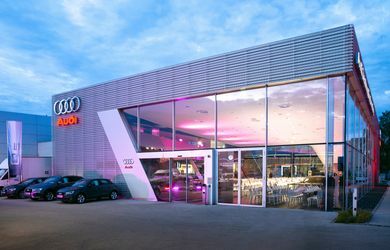 The event location is situated on the outskirt of Linz. 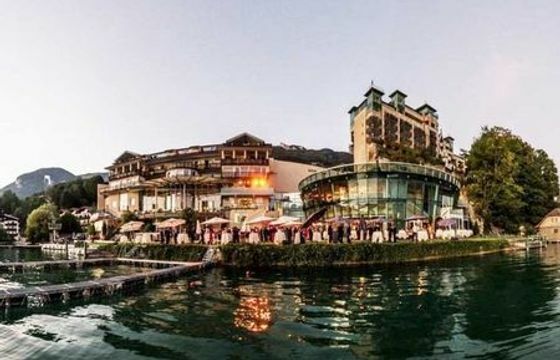 The Event Resort scalaria as a conference venue has 20 function rooms altogether 4,200sqm, for 1,200 persons in the largest room. 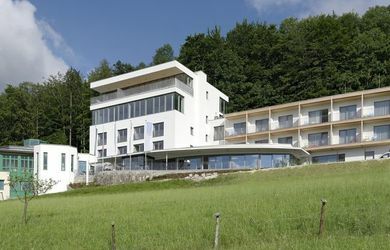 The event & conference hotel has 400 beds and is located at the Wolfgangsee in St. Wolfgang/Salzburg. 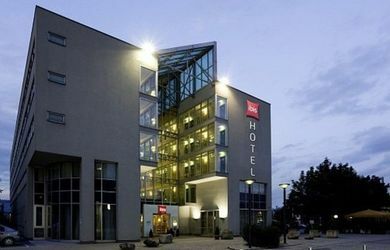 SPES Hotel & Seminare as a conference venue has 7 meeting rooms on altogether 443sqm, up to 150 people in the largest room. 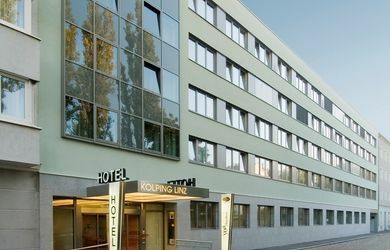 The conference hotel has 42 rooms and is located in Schlierbach / Upper Austria. 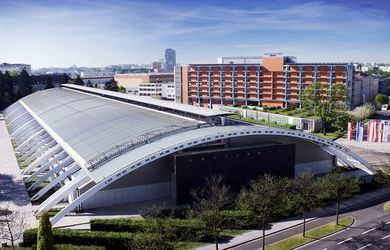 The event venue UEBEX Congresspark offers 8 function rooms totaling 400m ² / 200 people in the largest room. 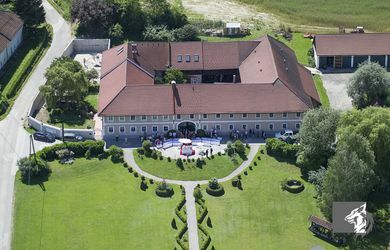 The event venue is located in Lenzing in Upper Austria. 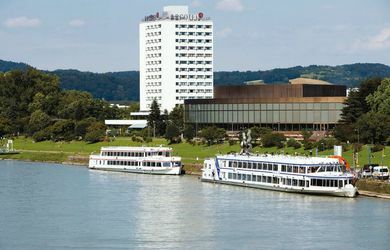 The Seminarhotel Prielbauer, as a conference hotel, has 5 conference rooms, altogether 610m ², for 200 people in the largest room. 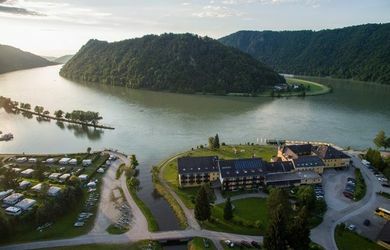 The conference venue has 40 rooms and is situated in Mondsee / Upper Austra. 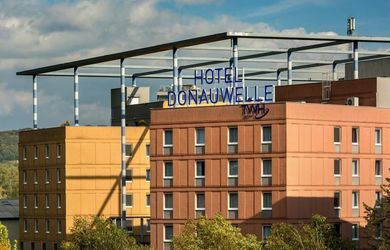 The Hotel Donauschlinge as a conference venue has 6 meeting rooms on altogether 362sqm, 130 people in the largest room. 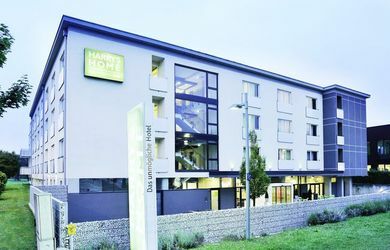 The conference hotel has 100 rooms and is located in Haibach/Upper Austria at the Danube loop. The JUFA Hotel Phyrn-Priel as a conference venue has 4 meeting rooms on altogether 327sqm, up to 100 people in the largest room. 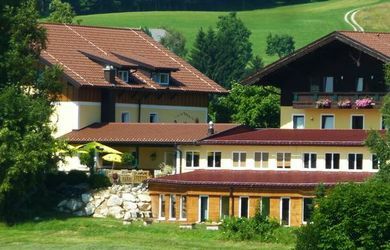 The conference hotel has 44 rooms and is located in Spital am Phyrn / Upper Austria. 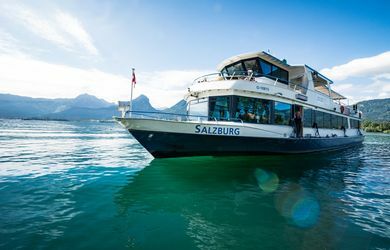 Wolfgangsee Schifffahrt as an event venue offers 5 ships for 365 people on the largest ship. Home port – St.Wolfgang am Wolfgangsee, centrally located. More berths are subject to availability. Christkindlwirt as a conference venue has 3 meeting rooms to a total of 160m² , for 80 people in the largest room . 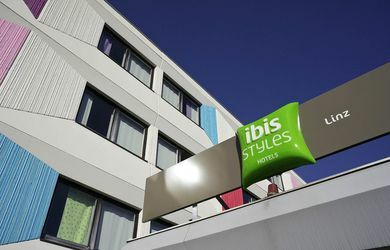 The conference hotel has 30 rooms and is located in Steyr / Upper Austria . 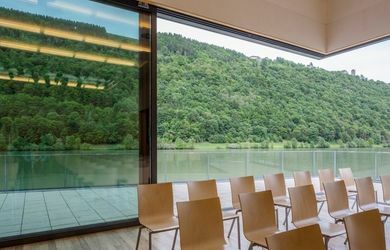 The Wesenufer Hotel & Seminarkultur an der Donau as a conference venue has 5 meeting rooms on 500m² for 220 people in the largest room, as well as several outdoor spaces for working within nature. The conference hotel has 49 rooms and is located in Forest churches on nature.